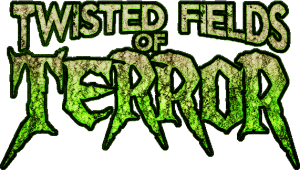 Twisted Fields of Terror is a Haunted Attraction located in Prince Frederick, MD. Travel deeper into the woods of Cannibal Creek Haunted Trail. And if you manage to make it out in one piece you’ll come to find Cirque De La Mort has just rolled into town and is setting up shop on the Grinner family homestead. Once again you can take a ride on the Z-Pocalypse Paintball hayride, only this time you’re going deep into the woods where an old camp has been overtaken by zombies. With our paintball guns you can shoot your way through the camp killing anything and everything that is undead! We will also have our Midway of Madness open! Loaded with food and beverages from local vendors.